The night sky isn't just filled with stars. The naked eye in most areas of the world (barring massive light pollution) can spot at least a few galaxies, nebulas, planets, and even artificial satellites like the International Space Station. If you have ever wondered what is floating in the sky above you, Star Walk 2 is a great tool - and it's on sale! 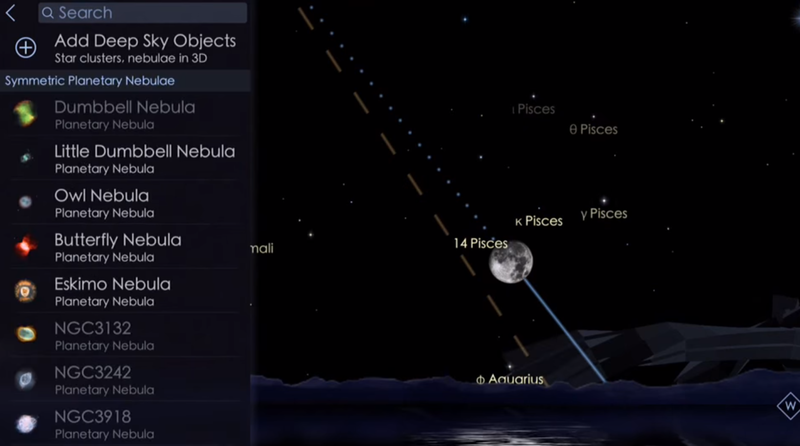 Star Walk is one of the many sky map applications for Android, and like several others, allows you to point your device at the sky to identify stellar objects. The app also includes search functionality, shown above, if you know what you are looking for. Star Walk features 3D models of planetary nebulae, constellations, planets, moons, and satellites, similar to Stellarium. You can even fast-forward in time to see the sky at any point in the future. The application is only $0.10 in most regions, unfortunately excluding the United States. If you're looking for a free alternative, Sky Map doesn't have all the flashy features of Star Walk, but is certainly usable.